What Is Absolutely Best for Inflammation and Depression? The problem is that many things can trigger your inflammatory response – not only conditions that can benefit from it, such as a bout of the flu, but also conditions that are more chronic, such as emotional stress, exposure to pollution and poor diet. These pro-inflammatory conditions may cause your body to exist in a state of chronic inflammation, and this is not a good thing. While acute inflammation can save your life, chronic inflammation may help end it. When chronic inflammation becomes systemic the body actually turns on itself. It leads to an increased risk of heart attack or stroke, magnifies the harmful effects of Alzheimer’s, and even promotes an internal environment favorable for cancer. Research is even suggesting that chronic inflammation may play a significant role in a seemingly unrelated condition: depression. Cytokines are chemical messengers that signal cells of your immune system, helping your body to heal from injury. However, cytokines can be either anti-inflammatory or pro-inflammatory, and when your body is in an inflammatory state, production of pro-inflammatory cytokines is increased. High levels of cytokines, in turn, may contribute to depression. One study found, for instance, that people with depression had significantly higher levels of the pro-inflammatory cytokine TNF-alpha, and lower levels of anti-inflammatory cytokines, than people without depression. Meanwhile, 20 percent to 30 percent of patients who receive interferon treatment for hepatitis C, which causes significant inflammation, develop a major depressive episode as a result. “Mounting evidence indicates that inflammatory cytokines contribute to the development of depression in both medically ill and medically healthy individuals. Cytokines are important for development and normal brain function, and have the ability to influence neurocircuitry and neurotransmitter systems to produce behavioral alterations. It’s thought that cytokines may activate inflammatory signaling pathways in your brain and decrease growth factors, such as brain-derived neurotrophic factor (BDNF), which may play a role in helping damaged nerve cells regenerate. While inflammation’s role in depression may be news to you, the “immune-cytokine model of depression” has been known since the early 1980s, when researchers found that excess cytokines had neuropsychiatric effects that mirrored the symptoms of depression. Do Anti-Inflammatories Work to Combat Depression? If inflammation is at the root of depression, then addressing the inflammation with anti-inflammatory drugs would seem to be a reasonable approach to treat it. It’s also been suggested that antidepressants work by blocking the effects of inflammatory cytokines on your brain. Toward that end, one study found that depressed patients who took the antidepressant Zoloft for eight weeks had lower levels of pro-inflammatory cytokines and higher levels of anti-inflammatory cytokines. However, some of the most exciting research applies to people whose depression has so far not responded to antidepressants. Among this group, more than 50 percent of the patients improved when aspirin, an anti-inflammatory, was added to their antidepressant treatment. If you’re struggling with serious depression, you should definitely seek professional help. However, there’s good reason to believe that supporting your therapy with natural anti-inflammatories may have a beneficial impact on your mood. And by this I’m not referring to aspirin, which has so many serious side effects (like major GI bleeding and breakdown of joint cartilage) that some researchers have recommended it be changed to prescription-only status. Not to mention, your risk of abnormal bleeding increases if you take aspirin (or other NSAIDs) along with antidepressants. And, importantly, try the all-natural anti-inflammatory Heal-n-Soothe – best for inflammation and depression, which has 12 natural inflammation-fighting ingredients, including systemic enzymes. bromelain, turmeric, devil’s claw, boswellia extract, rutin, ginger extract and more. 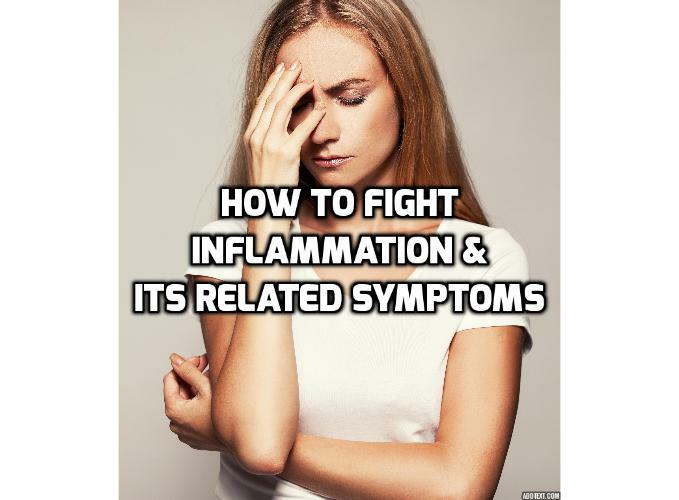 You simply won’t find a more powerful natural anti-inflammatory anywhere else, which is why anyone facing chronic unchecked inflammation, and its related symptoms, must give this a try. And don’t worry, there’s absolutely no risk involved. Try Anti-Inflammatory Heal-n-Soothe Now – Best for Inflammation and Depression! Next PostNext How to Add 12 Years to Your Life No Risk!